Want A Big Chest Day? You Gotta Warm Up First! The lines for bench space can be long on Mondays. 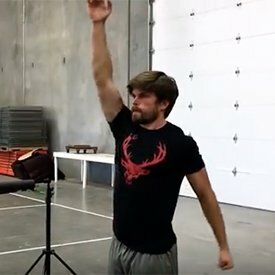 Instead of standing around griping, use that time to do warm-ups that'll improve your performance, help you avoid injuries, and chill you out until a bench opens up. It's Monday—international chest day. Before you even step foot in the gym, you know there's going to be a long line at the bench press. But instead of getting all pissed off, look at this as a blessing in disguise. Just like every other day at the gym, start chest day by getting your body ready for the workout ahead. 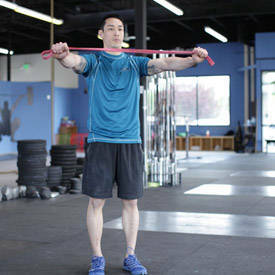 To warm up for the bench, focus on your rotator cuffs, deltoids, and pecs. This will help increase blood flow, range of motion, and stability in your entire shoulder girdle, which translates to a bigger, safer bench. 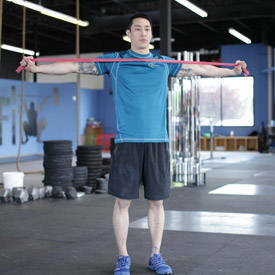 Think of cold muscle like frozen rubber bands. Ever stretch a frozen rubber band? Yeah, it doesn't stretch very well. In fact, it's much more likely to snap. Now imagine that rubber band is one of your cold muscles. Ouch. Alrighty, ready to do some warm-ups? Perform 5-10 minutes of a light cardio warm-up before beginning these. Warm-up 1: Complete 3 rounds. Keep rest periods to a minimum. Warm-up 2: Complete 3 rounds. Keep rest periods to a minimum. Warm-up 3: Ramp up your bench-press sets until you reach your working weight. 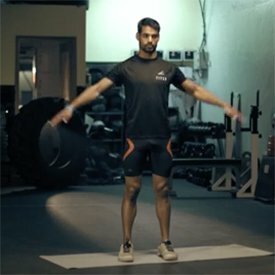 Why Warm Up These Muscle Groups? The rotator cuff is made up of four smaller muscles that work together to maintain healthy shoulder function. The job of these muscles is to keep the humerus head or "ball" of the ball-and-socket shoulder joint positioned in the center of the socket. 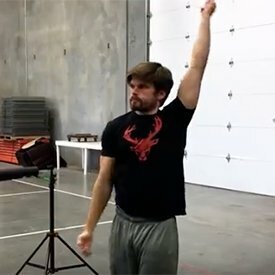 If you don't warm up your rotator-cuff muscles, your humerus head can drift (usually forward) and cause impingement—that clicking you hear or pinching you feel once you start pressing. 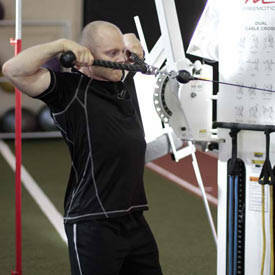 Your deltoid (shoulder) muscle has three main sections: front, middle, and rear. 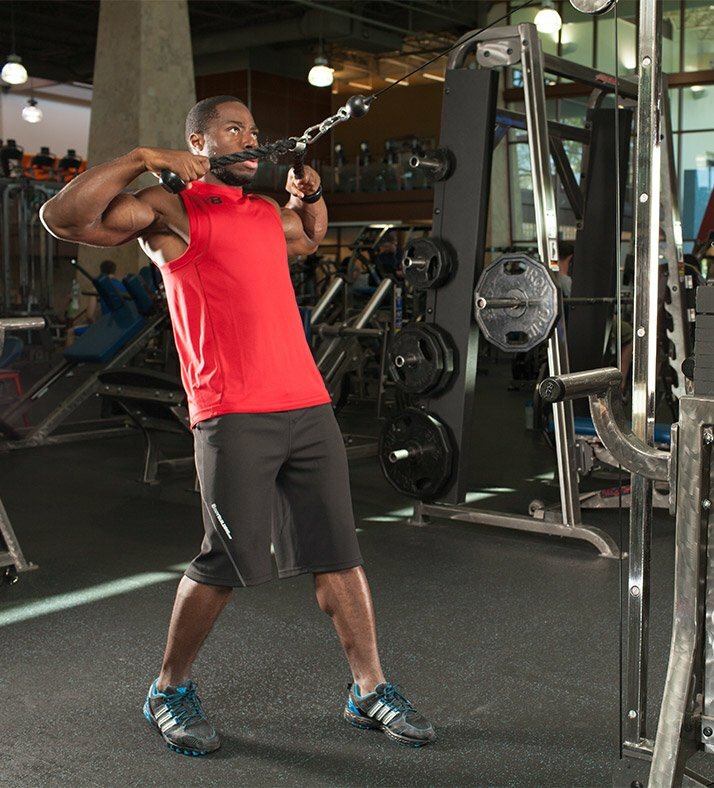 Most of the exercises you do hit the front and middle delts but ignore the rear delts. A difference in development and strength between your front and middle delts and your rear delts can lead to injury, potentially causing you to leave strength in the tank. 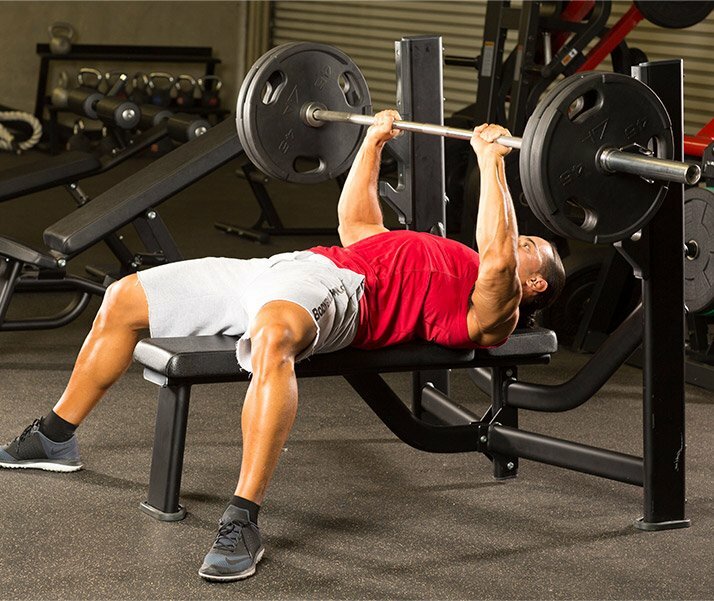 This bench warm-up is designed to help you show those rear delts a little love, overcome this imbalance, and get more blood flowing to the shoulder girdle to help you to "grease the groove" of your bench press. Your pecs do the main lifting for the bench press, so they need to be nice and limber. 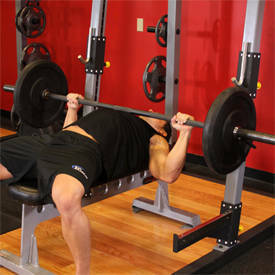 The bench warm-up will help activate your pecs to increase blood flow and improve muscle elasticity. And it'll prepare your body up front for peak performance while helping to minimize those aches and pains that come after you leave gym. 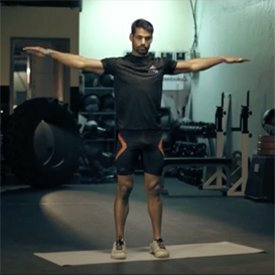 Ben Johnson is a coach and personal trainer whose style focuses on achieving optimal performance both in the gym and in life.